The design and synthesis of nucleic acid-based therapeutics is one of the most promising approaches to drug development and disease therapy. 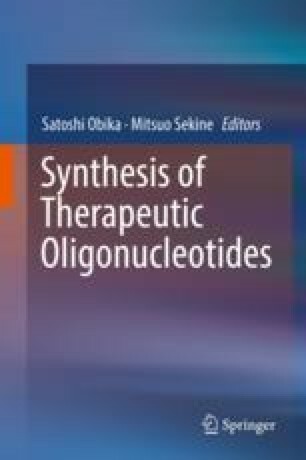 In order to develop agents with improved nuclease resistance and hybridization ability, a large number of chemically modified oligonucleotides (ONs), especially RNA analogs, have been designed and prepared. However, this has led to ONs with overly complex structures, resulting in a lack of biocompatibility with natural RNA. With this in mind, 4′-thioRNA, which has a sulfur atom in place of the furanose ring oxygen, was proposed as a natural RNA bioisostere. The building blocks for 4′-thioRNA, i.e., 4′-thioribonucleosides, were prepared stereoselectively via the Pummerer reaction between a silylated nucleobase and the corresponding sulfoxide, which was obtained from a 4-thiosugar. The resulting 4′-thioRNA exhibited sufficient hybridization ability and nuclease resistance, as well as biocompatibility with natural RNA, and was used effectively as a chemically modified siRNA and for isolation of 4′-thioRNA aptamers. Current progress in the development of a new RNA bioisostere 4′-selenoRNA, which contains a selenium atom, is also described. We thank all of our colleagues, especially Mr. T. Naka, Dr. S. Hoshika, Dr. M. Takahashi and Ms. Y. Kato (Hokkaido University), and Mr. H. Taniike, Mr. K. Hayashi and Mr. K. Ishii (Tokushima University), who contributed to the studies described here. This work was supported by Grants-in-Aid for Scientific Research from the Japan Society for the Promotion of Science (JSPS).